In 1992 Sir Mix-a-Lot had a Graflex Speed Graphic in his video for “Baby Got Back”. 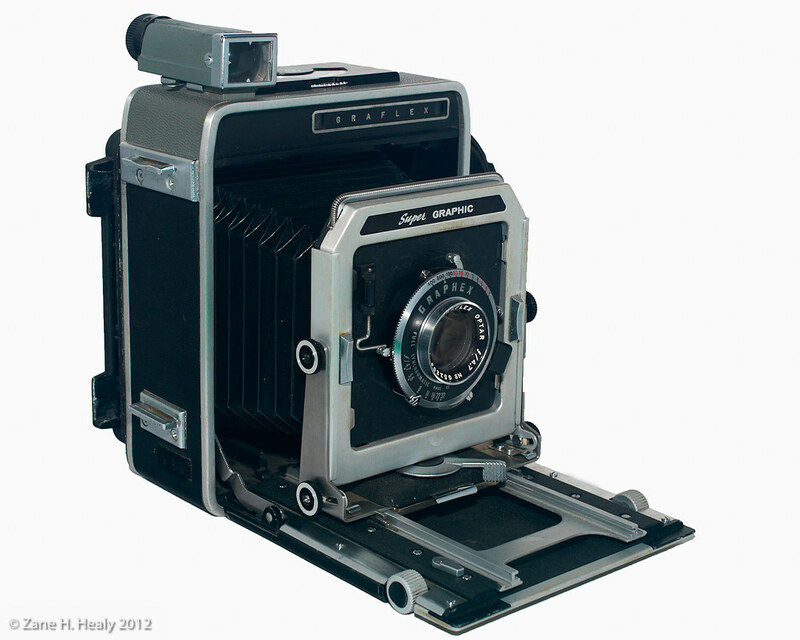 Produced by Graflex in Rochester, New York, the Speed Graphic is commonly called the most famous press camera. 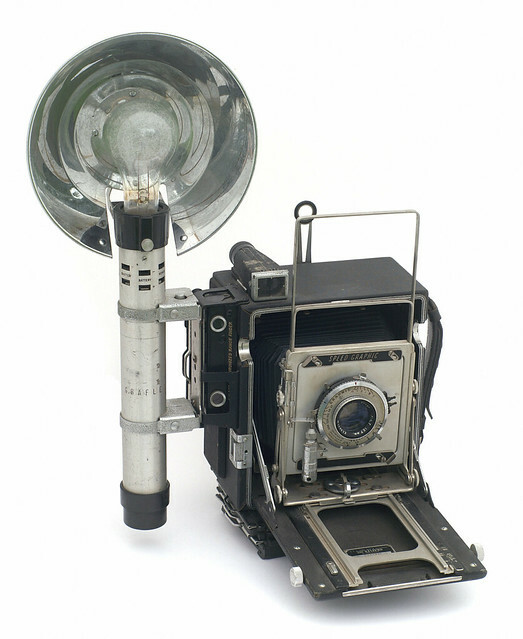 Although the first Speed Graphic cameras were produced in 1912, production of later versions continued until 1973; with the most significant improvements occurring in 1947 with the introduction of the Pacemaker Speed Graphic (and Pacemaker Crown Graphic, which is one pound lighter but lacks the focal plane shutter). It was standard equipment for many American press photographers until the mid-1960s.